STEM toys — toys that promote the learning and cognitive development that support scientific, technological, engineering, and mathematical thinking and learning — STEM toys are all around us. Did you ever [see a bear] / [Coming his hair] / Down by the bay? (Replace the bracketed bits with whatever rhyme you like. Did you ever see a swan, mowing the lawn? Did you ever see a moose, drinking some juice? Etc.) I made up my own verses and encouraged the girls to do the same. It turns out that rhymes are an important foundation to reading; that if you understand that “look” and “book” share a sound, that makes it a lot easier to grasp phonemes and start piecing words together. Just as I tended to think of “letters and reading” as pre-literacy school readiness activities while overlooking the importance of rhymes, I tended to think of “counting and numbers” as pre-math school readiness activities while overlooking patterns, pattern finding, sorting, measuring, and playing with quantities and volume. And I tended to think of “fun experiments with things you can find around the house” as being science learning activities while overlooking throwing, catching, jumping, sliding, and basically all active play. I am sure there are parenting books out there that talk about this; I didn’t read them or they made no particular impression on me. I just embraced the idea that Play Is Good and took my kids outside a lot because hopefully the novelty of the playground would keep them entertained and out of my hair and I could think my own thoughts for five minutes or possibly even ten. But here is where I think a lot of little girls are denied some of the really critical early learning activities that boys get as a matter of course: they don’t get to play outside as much, and the grownups around them discourage them from getting dirty. Building a fort out of fallen branches is an engineering activity. Building a dam at the beach or in a pond (that requires careful supervision, obviously, as children should never be left alone around water.) Building a snow man. Building a snow fort. 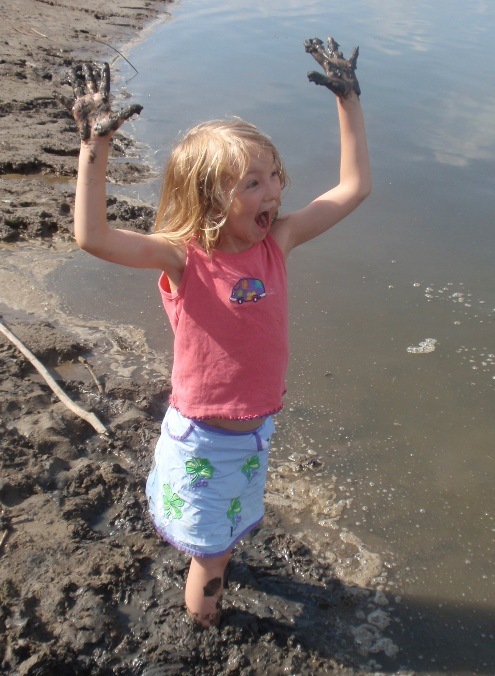 Not only are girls taken outside less often, they’re often discouraged from getting dirty once they’re out there, especially if they’re wearing girly clothes that could be “ruined.” There’s an overall attitude that jeans and overalls are for active play and play where you might get dirty, whereas dresses are for sitting around looking decorative. This is an artificial line drawn by grownups; it has to be explicitly taught to little girls, who are, in general, totally willing to dive into the sandbox in fancy dresses. I’m not saying that every outfit needs to be a “roll around in the mud” outfit but I will say that a Cinderella dress from Halloween should be treated as something that would be enhanced, not ruined, by some streaks of dirt. Disney Princess dresses are inexpensive and sturdy. But even with real clothes, anything you buy for a four-year-old will be outgrown within months anyway. Unless it’s heirloom-quality or sentimental or there’s a sibling you really want to be able to wear it, Christmas dresses might as well be worn to the playground because it’s a sunk cost, anyway. Kiera, playing in mud. In a skirt. Despite thinking of myself as a feminist parent, I realized when Molly was around seven that I was getting a lot more irritated by her perennial attraction to filth than I would have been if she’d been a boy. I had thoroughly absorbed the idea that boys are little pigs who will wallow in the mud given half a chance, but no one ever said this about girls. You know what? 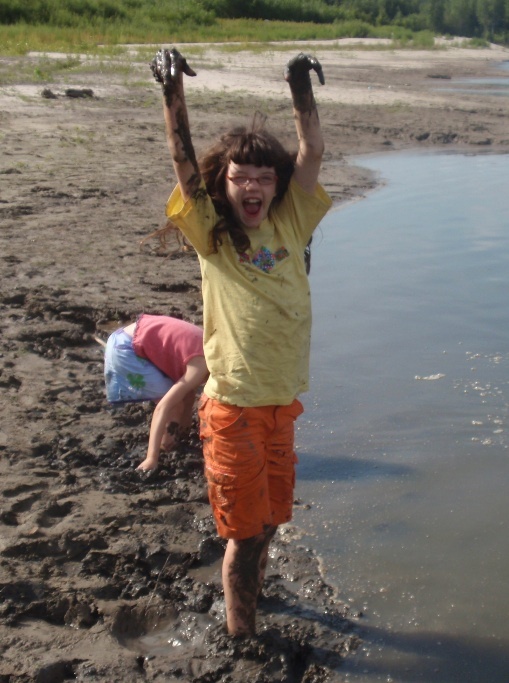 There are kids of BOTH genders who have sensory issues that will keep them out of the mud (or the finger paint) but that doesn’t mean that an average seven-year-old girl will not happily get into the mud if she’s not going to get yelled at for it. And bath tubs, thank goodness, are equal-opportunity facilities. Anyway. My point here is that a lot of this actually comes down to how parents are socialized. It comes down to how the people around us teach us how to parent. We need to recognize that changing how girls are socialized starts at a much more fundamental level than which toys we bring home from the store. This entry was posted in Uncategorized and tagged Barbie, Disney Princess, girly play, Kiera, Learning, Playground by naomikritzer. Bookmark the permalink. Again: yes, yes, YES! People were continually asking us if there was something “wrong” with our son because he didn’t like the sensory overload that came with mud and slime most of the time (especially when mixed with grainy sand or chunks of dirt). Everything from, “Is he gay, do you think?” to, “Maybe you’re just too protective and should MAKE him play with that stuff too”.They were more accepting that his sisters loved it, because, “Well, they do have an older brother who showed them all of that.” No, they didn’t. They had an older brother, but he never showed them all that! All three loved playgrounds and outdoor play. The girls were more active mostly, while my son loved to swing or play pretend games about the equipment, Both girls now play high school-level ice hockey and are ridiculously strong. Our son is more bookish, and wants to be a writer. The girls love reading too, but are more willing to explore new authors and series, while our son prefers the familiar in those departments.